Energy related occupant behavior in buildings, for example adjusting thermostat for comfort, switching lights, opening/closing windows, pulling up/down window blinds, and moving between spaces, is a key issue for building design optimization, energy diagnosis, performance evaluation, and building energy simulation due to its significant impact on real energy use and indoor environmental quality in buildings. However the influence of occupant behavior is under-recognized or over-simplified in the design, construction, operation, and retrofit of buildings. Occupant behavior is complex, stochastic and multi-disciplinary (Figure 1). Having deep understanding of occupant behavior and being able to model and quantify its impact on use of building technologies and energy performance of buildings is crucial to design and operation of low energy buildings. Existing studies on occupant behavior, mainly from the perspective of sociology, lack in-depth quantitative analysis. There are over 20 groups all over the world studying occupant behavior individually. The occupant behavior models developed by different researchers are often inconsistent, with a lack of consensus in common language, in good experimental design and in modeling methodologies. Due to the complexity and the great district discrepancy of occupant behavior, it is prerequisite for researchers to work together to define and simulate occupant behavior in a consistent and standard way. Subtask A - Occupant movement and presence models. Simulating occupant movement and presence is fundamental for occupant behavior research. The main objective of the subtask is to provide a standard definition and simulation methodology to represent how an occupant presents in his/her office and moves between spaces. Subtask B - Occupant action models in residential buildings. Occupant action behavior in residential buildings affects building performance significantly. This subtask aims to provide a standard description for occupant action behavior simulation, systematic measurement approach, and modeling and validation methodology in residential buildings. Subtask C - Occupant action models in commercial buildings. Some specific challenges of occupant behavior modeling exist in commercial buildings, where occupant behavior is of high spatial and functionality diversity. This subtask aims to provide a standard description for occupant action behavior simulation, systematic measurement approach, and modeling and validation methodology in commercial buildings. Subtask D - Integration of occupant behavior definition and models with current building energy modeling programs. This subtask will bridge between Subtasks A-C and Subtask E, enable applications by researchers, practitioners, and policy makers and promote third-party software development and integration. A framework in XML schema and a software module with occupant behavior models will be the main outcome of this subtask. Subtask E - Applications in building design and operations. This subtask will provide case studies to demonstrate applications of the new occupant behavior definition and models. The occupant behavior definition and models can be used by building designers, energy saving evaluators, building operators, and energy policy makers. Case studies will provide verification of the applicability of the developed definition and models by comparing the measured and the simulated results. Currently 24 countries and 57 organizations including universities, research institutes, software companies, design consultant companies, operation managers, and system control companies have confirmed great interests in participating in the project. Preparation phase started in November 2013 and will continue till November 2014. The Working phase plans to start in December 2014 and last for two years. The Reporting phase will be from December 2016 to June 2017. 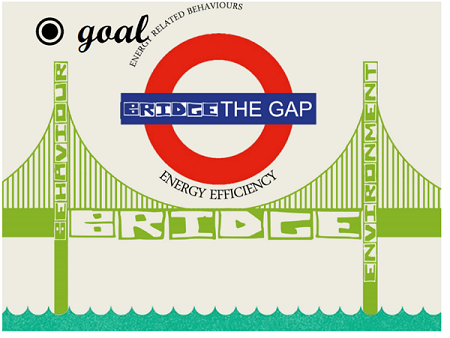 Through Annex 66, we hope to provide scientific description and clear understanding of energy related occupant behavior in buildings, as well as research methodologies and simulation tools to bridge the gap between occupant behavior and the built environment (Figure 2), thus to assist building design, operation, and energy technologies evaluation through the close co-operation of researchers all over the world.